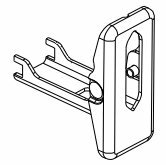 4 Whom Is This Milwaukee 2620 20 Designed for? Milwaukee 2620 20 18-Volt Sawzall Cordless Reciprocating Saw is one of the best reciprocating saw in the market. When searching for a recip saw, people are after quality, reliability, speed, and power. They want a tool that allows them to easily cut through items, requires less energy and delivers ample power. However, with so many products in the market, it can be tricky choosing the right product. I mean, no one wants to work with a slow or noisy product, end up with pains and blisters on the hands or keep recharging the unit. Our research on the best product led us to the bare-Tool Milwaukee 2620 20 18-Volt cordless Sawzall reciprocating saw. So, does it fit the bill? Whom Is This Milwaukee 2620 20 Designed for? It is also ideal for many applications thanks to the varied speed of up to 3200 spm. The non-slip and soft grip allows the user to handle and use the tool with minimal aches or fatigue. Convenience and easy use are what people look for in a recip saw. No one wishes to feel limited or restricted within the same area. 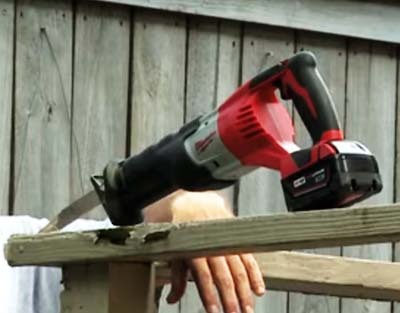 The cordless design makes this reciprocating saw from Sawzall ideal for use in many areas. Cases of the cord being too short or getting entangled with other objects are nonexistent. With a fully charged battery, the saw can be used continuously for long periods. One of the main challenges in finding the best cordless reciprocating saw is battery life. Unlike a corded saw, this type has to run on battery power, and unless the batteries are up to the task, you may be forced to recharge the battery too often. The Milwaukee 2620 20 Reciprocating Saw features an 18-volt battery that delivers ample power. In addition to longer run-time, the battery is charged less hence extending its life. 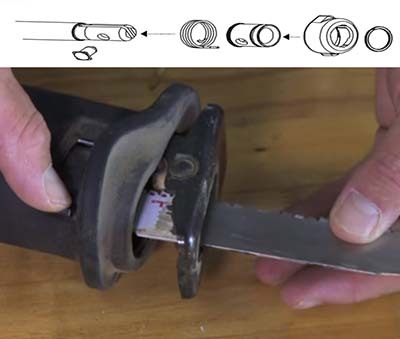 Reciprocating saws usually take a beating when sawing through tough surfaces or when used continuously. The most affected part is the clutch and gear system which heats up due to friction. To minimize the friction that may cause overheating, the Milwaukee 2620-20 features patented gear-protecting clutch. It reduces wear and tear. The groundbreaking mechanism also extends the saw’s life and reduces vibrations. Featuring variable speed, the Milwaukee 2620-20 Reciprocating Saw allows you to choose the right speed for the task at hand. You no longer have to tolerate high speeds in situations that require lower speed. Moving the trigger upwards increases the speed while lowering it reduces the speed. Besides smooth operation, varying the speed allows you to achieve a finer cut. A saw that goes dead without any prior warning can be quite annoying. Usually, this happens when the battery gets drained. To save you the embarrassment or inconvenience, the Milwaukee 2620-20 Reciprocating saw features an onboard battery gauge. Conveniently located on the saw, the gauge alerts you on the available power. You can either recharge or replace the battery with another when the power is too low. 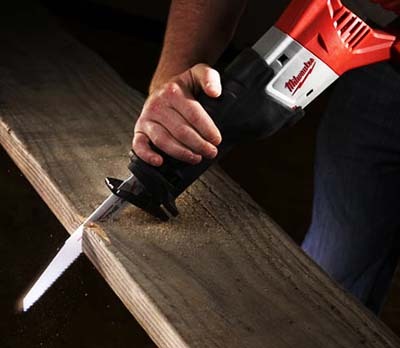 With its high performance and 3200 strokes-per-minute, the Milwaukee 2620 20 Sawzall is suitable for most applications in the home or workshop. A saw having more SPM doesn’t always mean it cuts faster, it just means the blade move faster. What makes a faster cut is how you use the saw! What’s crucial for a recip saw is how it feels and how much vibration it produces. 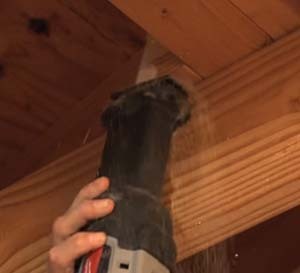 The Milwaukee 2620 20 Sawzall has Anti-vibration system. 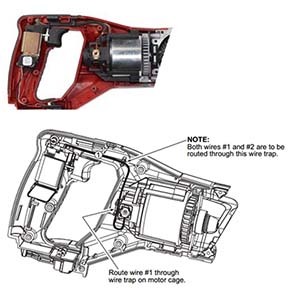 And thanks to its patented gear protecting the clutch system, the shocks, and vibrations that come when the sawing course or rough items are minimal. It’s well made. Changing blades is much easier. Thanks to the QUIK-LOK clamping design. Milwaukee has also incorporated a more durable battery that charges in lesser time. In fact, the tool delivers 30% more power than tools in the same category. Unfortunately, the cordless recip saw doesn’t score well when it comes to weight. It ranks amongst the heaviest and bulkiest and working in tight spots can be tedious. Getting used to the tool is a bit challenging especially for novices. But The weight of the Sawzall is an excellent feature for someone. Because they think, it helps prevent the blade from jumping around when getting through tough material. The material and construction design isn’t the best and extra caution has to be observed to avoid dropping and knocking it against objects. The Milwaukee 2620 20 Sawzall cordless saw scores much better than similar tools in its category. This is attributed to new and improved design, and longer lasting lithium-ion battery. Nonetheless, it is best suited for medium light and not heavy applications. Milwaukee offers bigger saw for heavy duty applications. Question: Does the shoe pivots adjust by sliding in and out? Question: Will a Milwaukee battery pack, CAT. #48-11-1820, work on this saw? 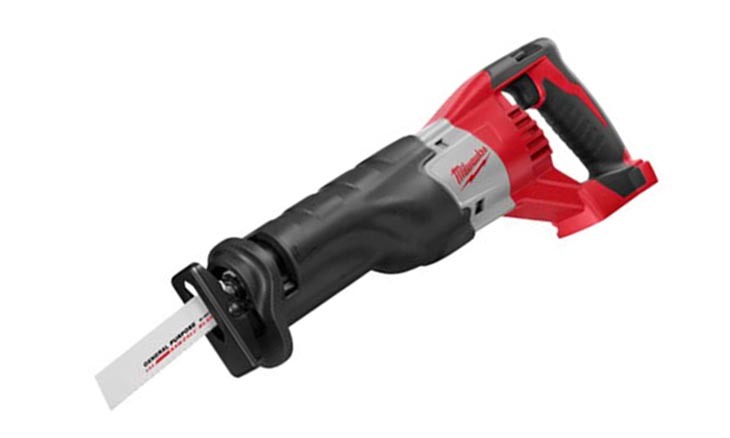 Answer: The M18 Red Lithium compact battery, 48-11-1815, works with the saw. Milwaukee advertises the compact battery pack will not work with the Sawzall. They claim you need the full-size red lithium battery. This is not correct. They initially said no, then finally confirmed it would work. They said they discouraged people from using the compact battery since the Sawzall has a heavy power usage and the compact batteries do not last long with the Sawzall. Question: Is this a brushless motor? The above review reveals several aspects about the Milwaukee cordless reciprocating saw. It delivers ample power that easily cuts through varied objects. The 18-volt, 2.8AH li-ion battery delivers up to 75 cuts. The patented gear-clutch system not only reduces vibrations but absorbs shocks and impacts as well. Courtesy of the powerful motor (3200 strokes-per- minute), the saw is 30% more powerful that saws in the same category. Unfortunately, the recip saw is heavy, bulky, and not easy to use. Taking all features and benefits into account, the bare-Tool Milwaukee 2620 20 18-Volt Sawzall cordless reciprocating saw is a good choice. 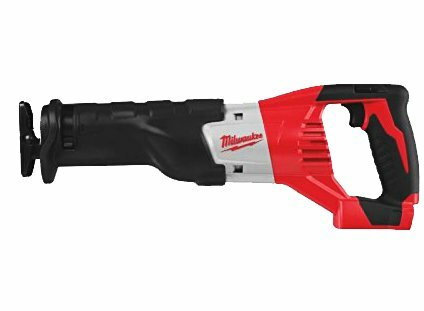 Discount Link – Buy Milwaukee 2620-20 18-Volt Sawzall Cordless Reciprocating Saw On Amazon, Now!